Despite improved access to medical care and antibiotics, abscesses affecting the CNS remain a health problem in children. Pediatric neurosurgeons must understand the treatment tenets that will cure the infection with minimal sequelae. Key is an orderly management scheme that concentrates on the identification of the infecting organism, incorporates judicious use of invasive procedures to both accomplish this identification and hasten the body’s conquering of the infection, and includes close monitoring of the evolution of the disease to confirm its successful management. 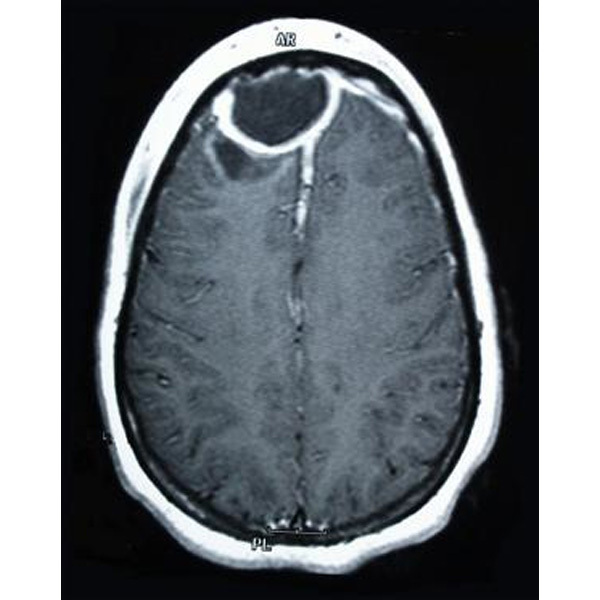 More prevalent in emerging countries: Brain abscesses constitute a disproportionate percentage of space-occupying intracranial lesions in underdeveloped countries compared with industrialized nations. High rate of mortality persists: Although brain abscesses arise infrequently in children, the rates of morbidity and mortality in this population are significant. Improved management has improved outcome: Earlier detection combined with advances in antibiotic therapy, culturing procedures, and operative techniques have led to significant progress in the treatment of this disease. Fevers and neurological signs should raise suspicion: Clinicians should have a high clinical index of suspicion for brain abscesses in children with seizures, persistent fevers, alterations in mental status, headaches, neurological deficits, a known source of infection, an immunocompromised state, history of head trauma, and/or congenital heart disease. Best managed by multidisciplinary team: A multidisciplinary team approach, including neurosurgeons, pediatricians, and infectious disease specialists, should be utilized when these lesions are encountered in children.